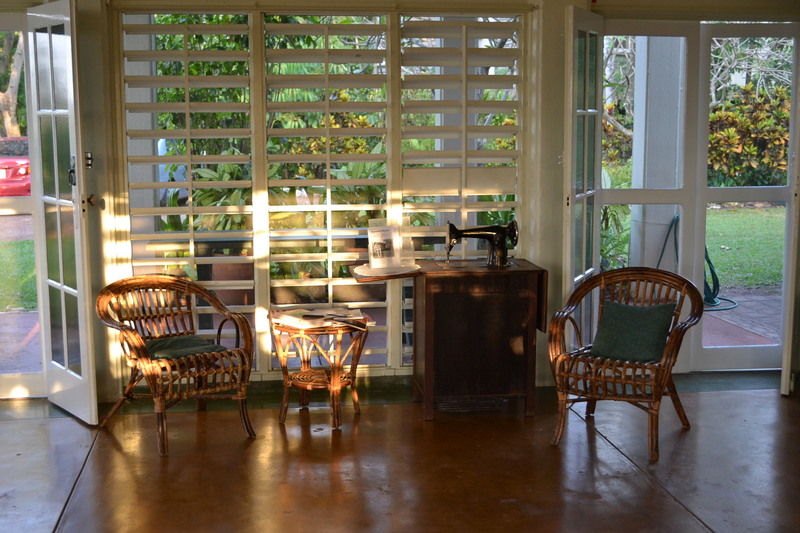 On the Darwin itinerary of Sunday pleasures is a visit to Burnett House where afternoon tea is served in the shade of tropical trees. It’s a delightful way to catch up with friends and have a good chat. 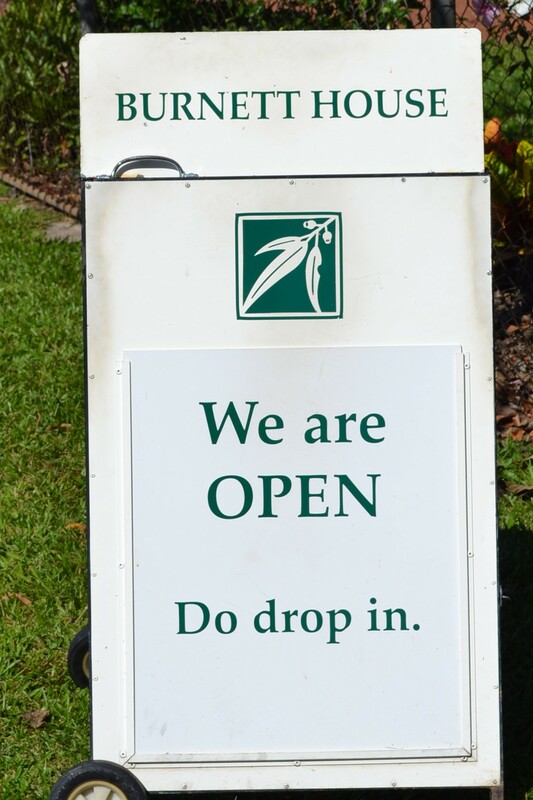 Burnett House is run by the National Trust and all the workers are volunteers. 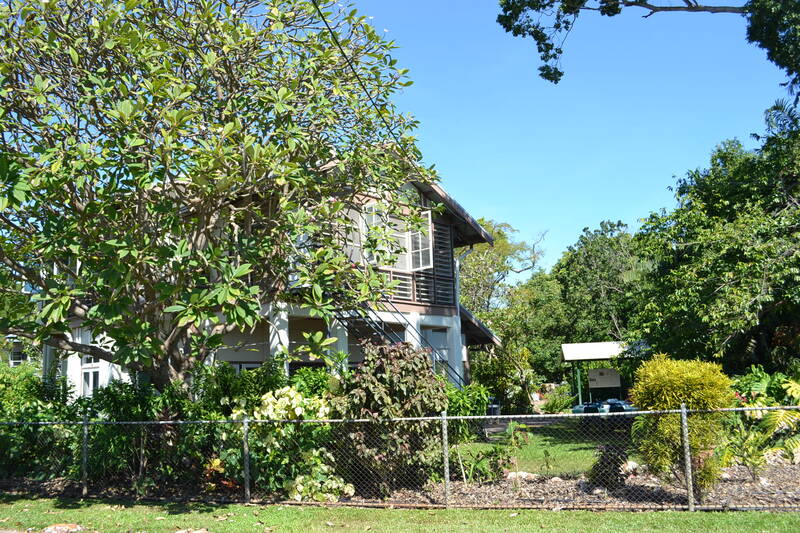 The house itself is an example of old Darwin architecture, one which has survived the ravages of the Bombing of Darwin and Cyclone Tracy. Often they will play the old record player with 1950s music which matches the environment perfectly. The old furniture is also evocative of the era. 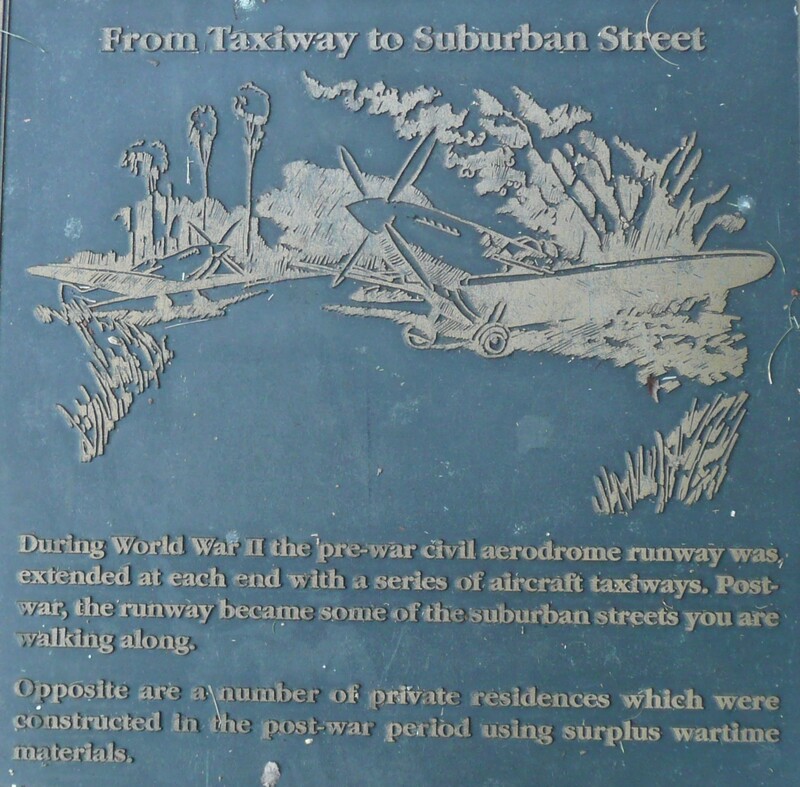 Along the side of the Stuart Highway, heading to Batchelor and points south, there’s a turnoff at Old Bynoe Road. On this corner there’s a simple cross like far too many you see on Australian roads. This one is the same in that it marks the point where a loved one lost his or her life. The ever-present, neatly-arrayed booze bottles testify to the fact that his friends have not forgotten him. However this site is also different. It doesn’t mark a road fatality, but rather the death of a police officer on duty, Sergeant Glen Anthony Huitson, killed protecting the community from a man who had gone on an overnight shooting spree. The further tragedy is that this death, left a young widow and two little children who will never know their father: the risks that police face daily in doing their duty. 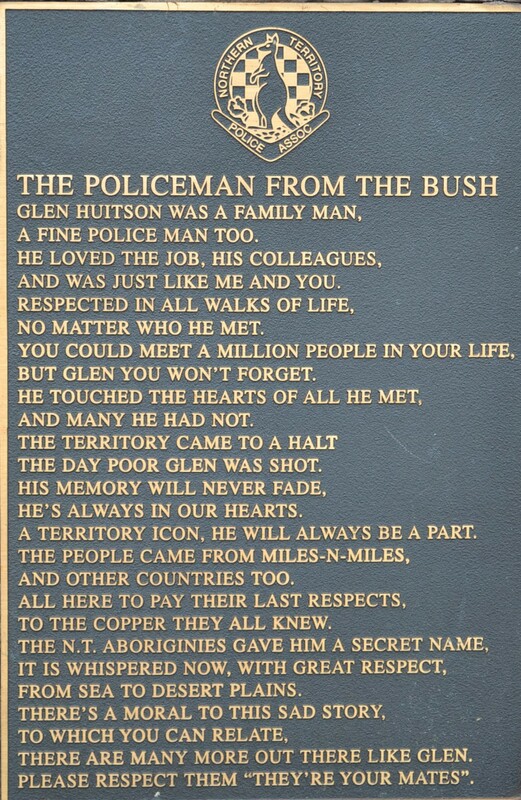 By all accounts Glen Huitson was a quietly impressive young man and an excellent policeman who was soon to receive the Police Valour medal, given posthumously to his wife, Lisa. Huitson had worked out bush and was well respected by the communities he’d worked in. 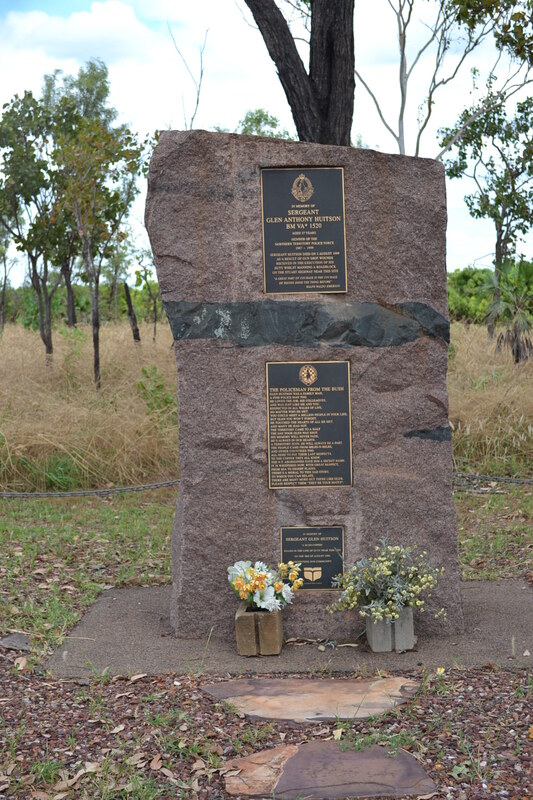 Stationed at Adelaide River at the time of the shooting, Huitson is also remembered by a memorial there. 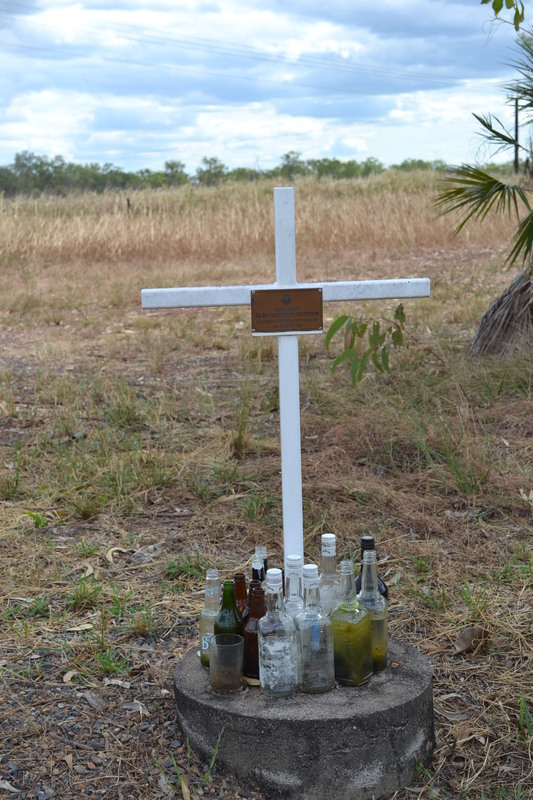 Across the new railway track on the Old Bynoe Road, there’s a different kind of memorial from the simple cross with beer bottles. It’s the official memorial in Glen Huitson Park. It has an impressively large stone brought from a distance and plaques to honour the man and the police officer. I recognise that another family lost a person they’d loved that day. No doubt as they pass Huitson’s memorial they think of their own loved one. However for me this is about the loss of a man doing his duty. As you go about your routines today, please remember all those police officers who daily risk their lives to protect us. I leave you with Glen Huitson’s eulogy, testifying to his concern for others and his true community spirit. Rest in Peace, Sergeant Glen Huitson, you did your duty well. 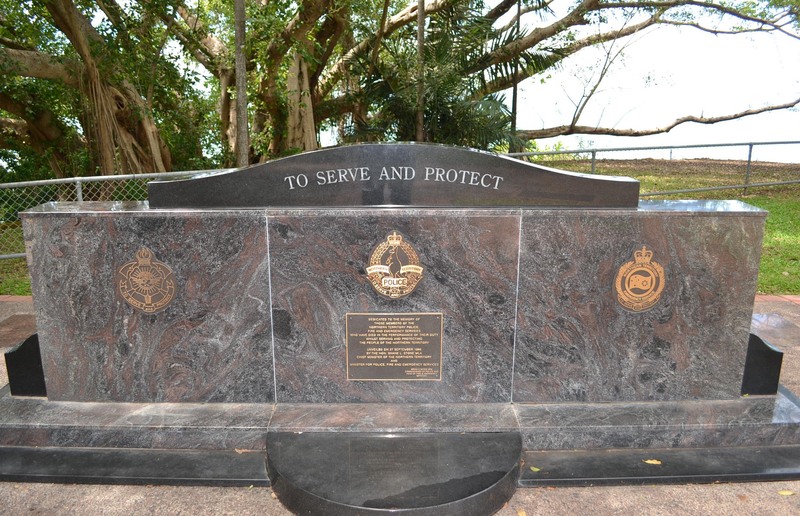 On the Darwin Esplanade, near the Cenotaph, there’s is a memorial to all Northern Territory Police and Emergency Services workers who gave their lives in service to the community.